But before you make your choice, consider the soil quality and the calories that the vegetables will contain. 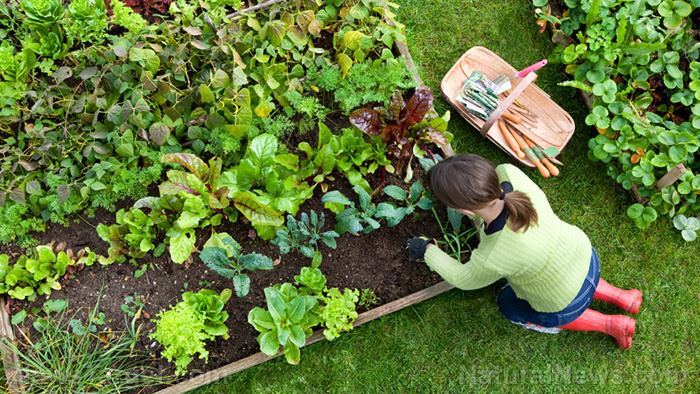 If you want to start a vegetable garden so you can cut back on the grocery bills and have a steady food source if and when SHTF, it’s best to maximize the caloric return for the time and effort it will take to cultivate it. For a garden that’s being cultivated for survival and self-sufficiency, the vegetables that you’re going to plant must contain enough calories to keep you and your whole family energized. The vegetables included in the list below have been normalized to 100 grams (3.5 ounces). Do take note that some of the items in the list are not usually consumed in these amounts and that nutrition is not accounted for in this list. The results will help you determine how much calorie a certain vegetable contains. The food calorie data for each vegetable was determined based on how they are usually consumed. For example, some vegetables are consumed raw while others are served boiled, etc. Beans, Pinto or Navy (143 calories) – Beans are a staple in survival gardens for various reasons. They are rich in protein, vitamins, and minerals, and they are also full of calories. Beans can keep you energized, and they are easy to harvest and store. Cabbage (22 calories) – Cabbage is easy to grow and store. It still contains nutrient even after it is cooked. Cabbage can be cooked with other staples, like potatoes, or fermented into sauerkraut. Carrots (41 calories) – Carrots are a crucial root vegetable because they can be stored during winter. They are also full of nutrition. Carrots can grow in sandy and well-draining soil. Once harvested, carrots can be stored in a root cellar or in a refrigerator. Corn (86 calories) – Grain corn, which is traditionally grown and dried on the stalk, is also easy to harvest and store. Ground grain corn can be turned into bread or used as a soup thickener. Corn can be paired with some beans for a complete protein. Kale (50 calories) – Kale, which belongs to the same plant family as cabbage, is a nutritious plant. Kale is easy to grow, and it can keep growing until late fall or early winter. Potato (86 calories) – Potatoes will grow in almost all kind of climates and soil types. They can also keep you full for a long time. Sweet Potato (76 calories) – Sweet potatoes are a popular staple food because they’re nutritious. Sweet potato greens are also edible. Even if sweet potatoes are a tropical and subtropical plant, they can be grown in the north. Sweet potatoes can be stored at room temperature for a long time. When SHTF, it’s important to consider the calorie content of the vegetables in your garden and their shelf life. Growing the right kinds of vegetables can significantly increase your chance of surviving anything that comes your way, be it a drought or an economic collapse. You can learn more about survival gardening at FoodCollapse.com.